The Chevrolet Onix accounted for 125,900 sales in Brazil during 2015, making it the best-selling car in the country during the year. The milestone represents the first time that the Onix has won the title. Since being launched in Brazil at the end of 2012, sales of the subcompact five-door hatchback have seen steady growth. In 2013, the model was Brazil’s eighth best-selling vehicle, rising to fourth place in 2014. Since its launch in the country, the Onix has registered over 400,000 sales. 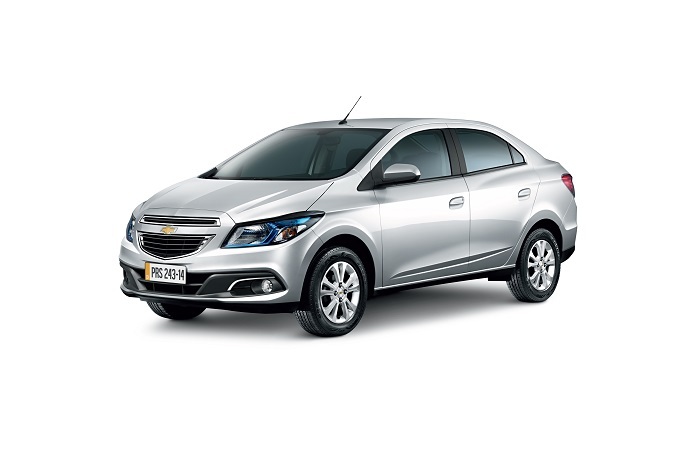 In fact, Chevrolet is the first automotive brand to have had three different passenger car models as best-sellers in Brazil. Prior to Onix, two other Chevrolet models achieved the best-selling status: the Monza and the Chevette. The Monza took the title three times, winning in 1986, 1985 and 1984 while the Chevette already won the title in 1983. Both modes have been discontinued. Chevrolet ended 2015 with 388,000 sold vehicles and retained its leadership in the retail segment for the third consecutive year. Retail sales are those made by individuals, and excludes purchases by companies and fleets. Besides the Onix, three other Chevrolet models attained notable sales results: the Prisma, Spin, and S10 all ended the year as leaders in their respective segments. To note, the Prisma is the sedan variant of the Onix, the Spin is the MPV variant, and the S10 is a midsize pickup truck related to the Chevrolet Colorado and GMC Canyon sold in the United States and Canada.